Turkey is a country where citizens admire detectives - even if they are TV series characters. Actors who play popular characters in detective series usually say the public behave as if they were a police captain on the street rather than a thespian. Given the widespread popularity of Turkish TV serials at home and in the region, playing a top cop brings a lot of attention. The television industry in Turkey currently shows 10 different detective series, according to BeyazPerde.com. 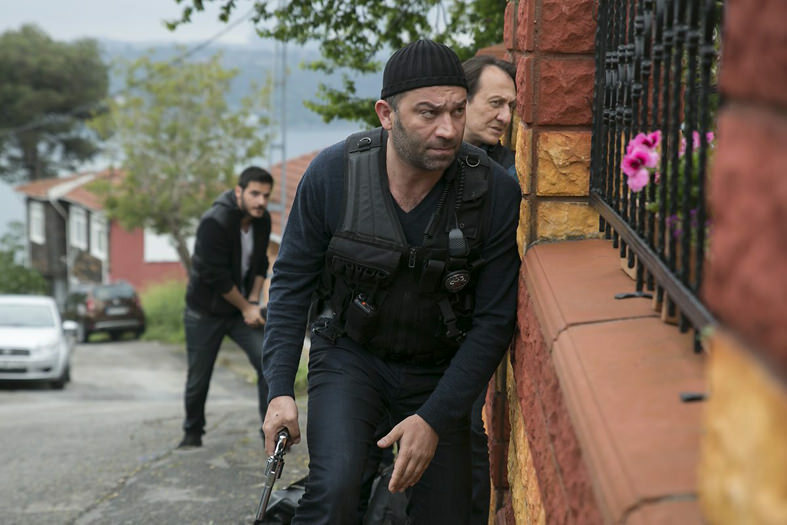 While some of the series discuss investigation stories with private detectives, others reflect the strength of Turkish police forces through action scenes and modern equipment. Last week, the Turkish National Police celebrated their 171st anniversary, with ceremonies and tributes from the country's leaders. Now, Anadolu Agency (AA) has asked Turkish audience members about the influence of popular detective series on the public's perception of the police. "If I see one of the characters from the series, I address them as 'Hey chief!'" said Hatice İpek, a 46-year old Istanbul housewife and avid follower of detective series. "Heroes on the series 'Arka Sokaklar' (Back Streets) have it stuck in our minds as they are police officers," she added. "Arka Sokaklar" is a long-running detective series in Turkey, which shows a police team investigating crimes in Istanbul. It has aired 397 times since 2006 and it is still popular. "The series has been discussing cases that we could face in our lifetime," İpek said. She also claimed that the reason why the series has been on the air for 10 years is that it has given place to family life for police characters. "We can see how successful they are as both police chiefs and family members," İpek said. In the series, the characters are not superheroes; they have also financial difficulties, family problems and psychological issues. One prominent character has a large family with a wife, five children and also his wife's aunt. Despite the hard life in Istanbul and the troubles his wife or kids cause him, he never gives up on life. İpek referred to this character, saying: "They live like us, ordinary people," something which explains the show's enduring popularity. She stressed that those series show how police officers put their life in danger to defend innocent people, adding: "The series gives us an opportunity to get to know police better. We realize once more that we should be proud of our police officers." Today, the Turkish National Police are hard-pressed; their special forces are fighting against terrorism in the country's southeast and they have lost many colleagues. However, the police organization was founded to ensure local security in cities. In the 1840s, the 31st sultan, Abdülmecid I, implemented many reform projects, such a creating a ministry of education, a system of civil and criminal courts with both European and local judges and reorganized the finance system with the first Ottoman banknotes. One common point linking the reforms was their modelling on French norms at that time. Therefore, when the Turkish police were established, the regulations were copied from documents created for the Police General Directorate of Paris in 1800. In time, police officers' responsibilities have expanded; now they are working on cybersecurity, traffic control, smuggling and many other fields. A recent report published by the Police General Directorate of Turkey shows that nearly 257,000 officers are on duty nationwide and abroad. Meanwhile, Turkish audiences do not only like contemporary crime stories, they also follow cases set in the 1850s Ottoman period. "Filinta" [Carbine] is one such show. A detective fiction television series, it premiered in December 2014. The series touches on the subjects that occurred during the first years of the establishment of the Ottoman police forces, founded in the then-capital city of Istanbul in 1845. 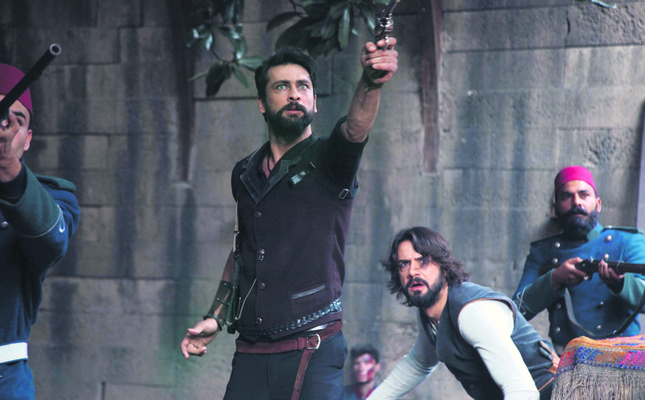 Although "Filinta" is not among the most-watched series according to TNS ratings, the series is the first Ottoman detective show in Turkish television history. "I have been watching the series from the beginning up until now," said Nur Kepçeler, a 38-year old mathematics teacher. Kepçeler, who loves detective novels and watches movies about Turkish history, said the show means "I have both history and detective stories together in one." She emphasized that the series educates people about the transformations of the police from its establishment until today and how difficult it was to catch criminals at that time. "Ottoman policemen could collect evidence from the scene but there were no security cameras on buildings ... we comprehend how they followed their suspects," Kepçeler said. The series includes episodes featuring international directors, such as Bobby Roth, director of shows such as "Lost," "Prison Break," "Fringe" and "Revenge." These kinds of series demand more concentration from their viewers due to their complicated stories and unexpected plot twists. Therefore, Kepçeler admitted she watches the series alone online when her husband and children go to bed.